Thirroul Working with the owner architect, we transformed this basic 1950’s bungalow into a modernist two-story family home, complete with polished concrete floor downstairs, and steel-framed concrete roof on top supporting a striking timber-clad roof garden and deck. Thirroul Working alongside a creative chef and a Sydney based artist, you know it’s going to be an exciting project. Nigel and Kate captured the bustling environment of a cafe and combined it with the rich colour scheme of a sea merchant which nestles in perfectly with the coastal village aesthetic of Thirroul. Bondi Beach City lifestyle brimming with history and quiet subtleties that capture modern living in a 1940’s apartment. Black Japan floorboards, white walls, and sleek lines made this apartment radiate an openness that can sometimes be lost in a limited space. 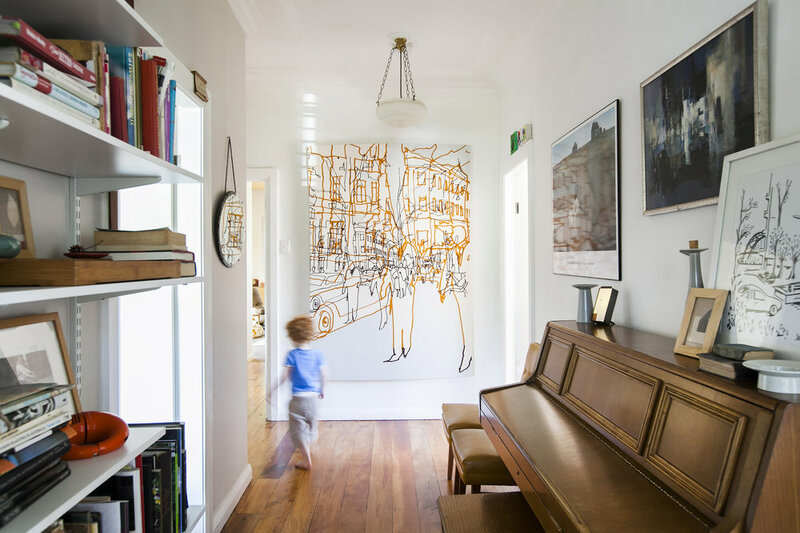 Austinmer Collaborating with both Matt Dickson of Morgan Dickson Architects and the very creatively focused owner, this classic 1950s weatherboard house was given a complete makeover and modern two-story rear extension. Austinmer This two-phase development saw us first clear the site, install hundreds of metres of subsurface drainage, custom-mill all felled timber and landscape the building envelope, before creating a totally original and inviting family holiday house. Thirroul This 1980s cottage needed a significant rear addition to create more open living and entertaining space and give flowing access to the beautiful gardens. Figtree This house is the result of a young couple with vision yet the flexibility to collaborate. Their simple 1970s brick veneer cottage has been totally transformed into an elegant and stylish modern home. Austinmer Another Matt Dickson design, this combined 1950s cottage with 1990s rear extension first needed to be lifted and peered to create one consistent level, and then completely remodeled from the inside out.